The next stop on out trip was a farm, near Bristol England, owned by some friends of Anne's family, which we used as a base of operations for seeing some of the sites in Southwest England/Cornwall. We were actually rather surprised when we pulled out the map to find out way there that the farm was large enough to actually be shown on the map. It sure made it easy to find. 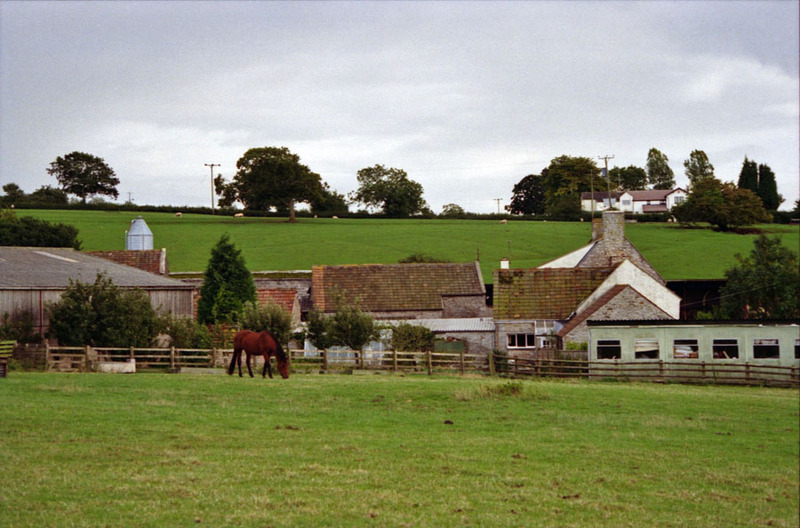 This is an overview of the farm buildings.